Actress Michelle Williams holding a copy of The Catcher In The Rye. J.D. Salinger presents his classic tale of alienation and dysfunctional adolescence in his controversial novel The Catcher in the Rye. The title of the novel is based on "Comin' Thro' the Rye," a poem by Robert Burns. If you like the story of Holden Caulfield and his misadventures, you may enjoy these other books. Take a look at these must reads! The Catcher in the Rye is often compared to Mark Twain's classic, ​The Adventures of Huckleberry Finn. 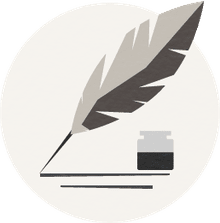 Both books involve the coming-of-age process of the main protagonist; both novels follow the journey of the boys; both works have caused violent reactions in their readers. You must read The Adventures of Huckleberry Finn. Compare the novels, and see what all the hubbub is all about. In The Catcher in the Rye, Holden observes the "phoniness" of the adult world. He is an outcast in search of human interaction, but more than that, he is a teenager on the path to growing up. Lord of the Flies, by William Golding, is an allegorical novel, in which a group of boys create a savage civilization. How do the boys survive when they are left to their own devices? What does their society say about humanity as a whole? In The Great Gatsby, by F. Scott Fitzgerald, we see the degradation of the American Dream, which was originally about individualism and the pursuit of happiness. How can we create meaning in such a place of moral decay? Then, when we step into the world of The Catcher in the Rye, does Holden even believe in American Dream? How does his idea of "phoniness" figure into the decline of the American Dream and the emptiness of the upper classes--which we see in The Great Gatsby. Yes, this is another book about teenagers. The Outsiders, by S.E. Hinton, has long been a high school favorite, but the book has also been compared to The Catcher in the Rye. The Outsiders is about a close-knit group of teenagers. But, the novel is also about the individual-versus-society. How must they interact? Holden tells the story in The Catcher in the Rye, and Ponyboy tells the narrative of The Outsiders. How does the process of telling the story allow these boys to make a connection? Read this novel, and see how it compares to The Catcher in the Rye. 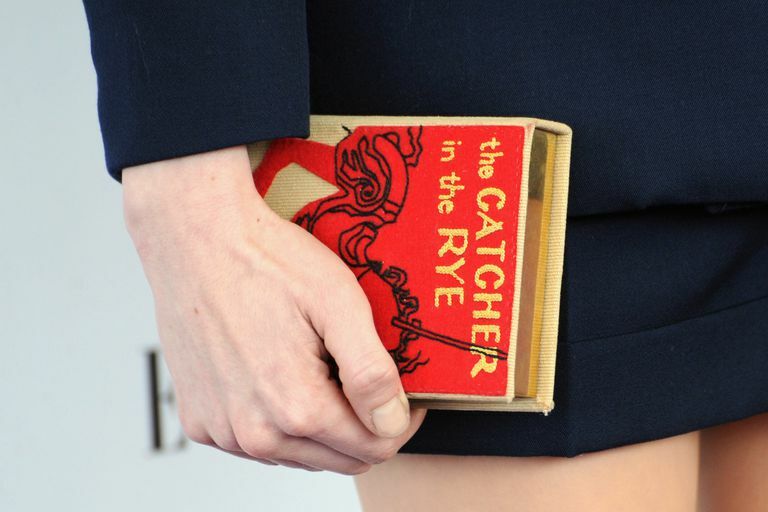 The Catcher in the Rye is a coming-of-age story--told by Holden Caulfield, with a sense of bitterness and cynicism. One Flew Over the Cuckoo's Nest, by Ken Kesey, is a protest novel--told from Chief Bromden's point of view. Holden tells his story from behind the walls of an institution, while Bromden tells his story after he has escaped from the hospital. What can we learn about the individual versus society from studying these two books? Flowers for Algernon, by Daniel Keyes, is a coming-of-age story, turned on its head. Charlie Gordon is part of an experiment, which enhances his intelligence. In the process, we see the development of an individual from innocence to experience. by Kurt Vonnegut. Time is an important element of Slaughterhouse Five. With time and freedom no longer constants in life, the characters could weave their paths through existence--without fear of death. But, somehow, the characters are "stuck in amber." Ernest W. Ranly describes the character as: "Comic, pathetic pieces, juggled about by some inexplicable faith, like puppets." How does the Slaughterhouse Five worldview compare with Holden's view in The Catcher in the Rye? by D.H. Lawrence. Lady Chatterley is controversial for the sexuality. But, it's also that delving into that passion and love that makes this novel so important, and ultimately allows us to link Lady Chatterley to The Catcher in Rye. The controversial reception (or rejection, rather) of these two novels was similar--in that both works were banned on sexual grounds. The characters attempt to make connections--interactions that could save them. How these connections play out, and what these connections say about the individual versus society is a question that's ready for a comparison between these novels. Of Mice and Men is the classic by John Steinbeck. The work is set in the Salinas Valley of California and centers around two farmhands--George and Lennie. The title is believed to reference "To a Mouse," by Robert Burns--where the best-laid plans of mice and men go wrong. The work has been banned because of its controversial language and subject matter. The novel was first conceptualized as a play, and the structure of the work reflects this initial conception. The two main characters could be compared with Holden in their alienation and outsider status. by Vladimir Nabokov. Pale Fire is a 999-line poem, written as though it's from John Shade--with commentary by Charles Kinbote. Nabokov's work satirizes university life and scholarship. Pale Fire is a popular classic, which received the National Book Award.